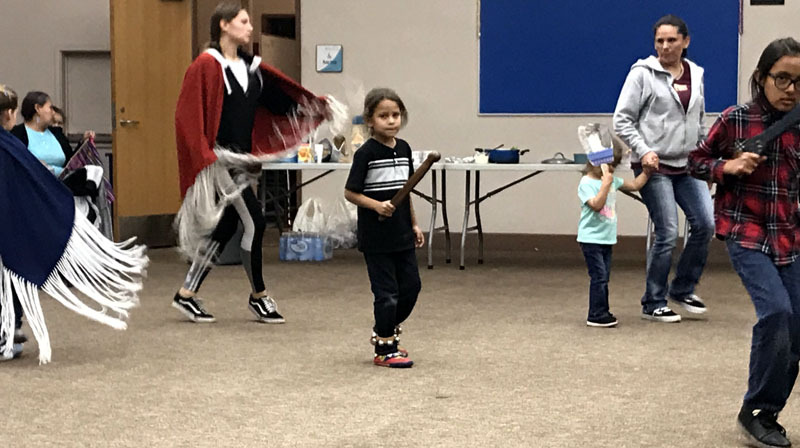 With rain earlier in the day and a real cool breeze coming in the open door, inside at the Soaring Eagles Workshop it felt good to be amongst Tribal people and dance to some great songs. A hearty beef stew was shared after the blessing and 'Elders first', real comfort food against the weather. Thanks to all who brought a dish to fill out the table and our plates beside the bowl of stew. Our Singers seemed in great voice and spirits as they chose to bring back songs from the 80's. Dipping in deep to the memories and bringing those good old word songs out fresh for our dancers. Almost all were hearing them for the 'first time'. 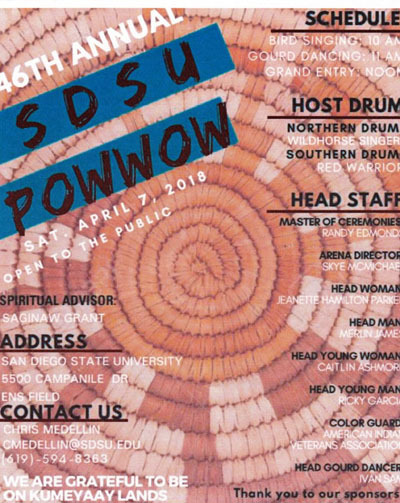 Our dance instructor, Chuck, commented on a few as they reminded him of times past and Pow wow circles throughout southern Cal. 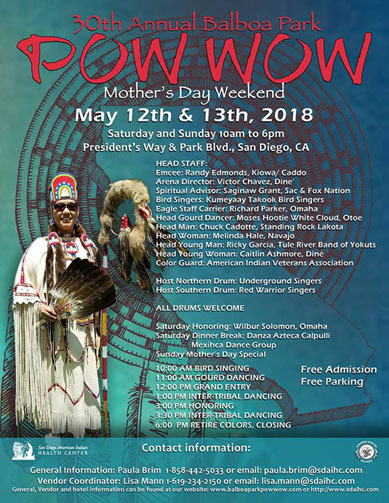 He also took some time to share with us how the Pow wow came to be the gathering it is today, especially from his Northern Plains perspective. 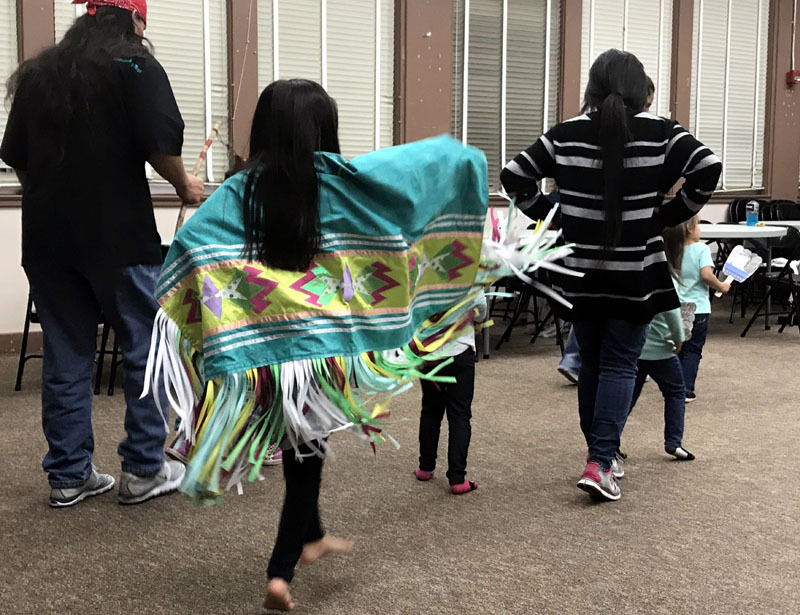 Passing this history on to our next generations so they know their traditions and where they come from - one of the things that Soaring Eagles teaches all of us. It's always good to see the participation of parents in support of our young dancers and we see steady improvement and their confidence grow in the circle. That experience always goes with them all even after the last song is sung. 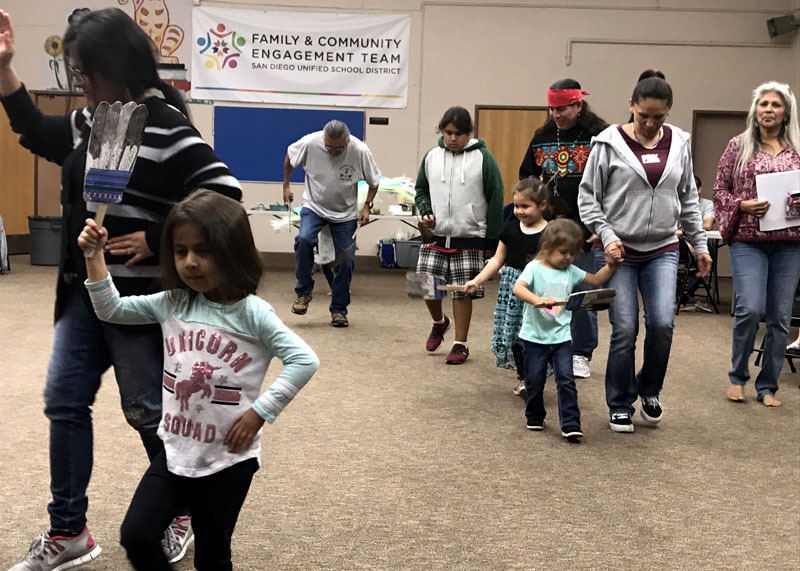 We finished out with a set of northern style Round dances and again with smiles all around. Great times gathering together in this Traditional way. Because of Spring Break at Ballard Center our next Soaring Eagle/Community Night is moved to Friday March 30. Details will be in a Flier posted and emailed out before then.